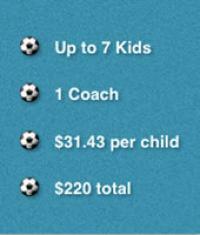 Includes 1 coach and up to 7 Little Kickers participants. * Recurring weekly invoice, 30 days notice to cancel. 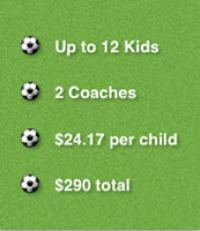 Includes 2 coaches and up to 12 Little Kicker participants. 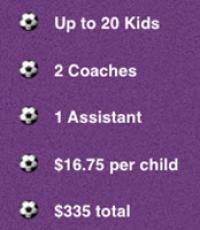 Includes 2 coaches, one assistant and up to 20 Little Kickers participants.